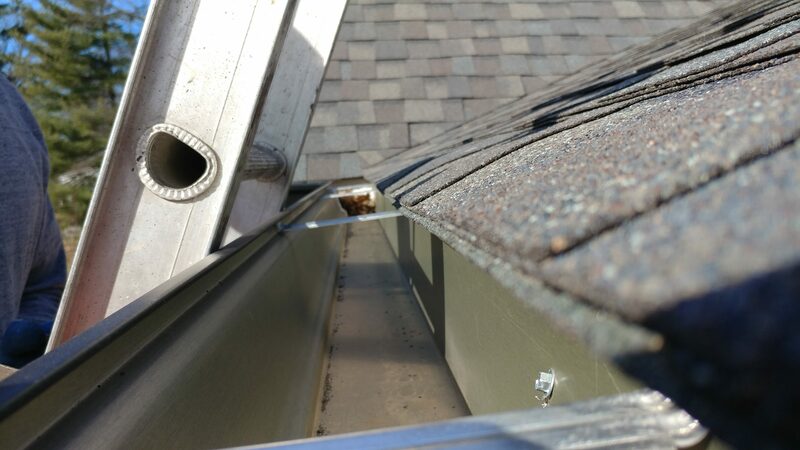 Are your gutters looking like this? Time for us to clean them! 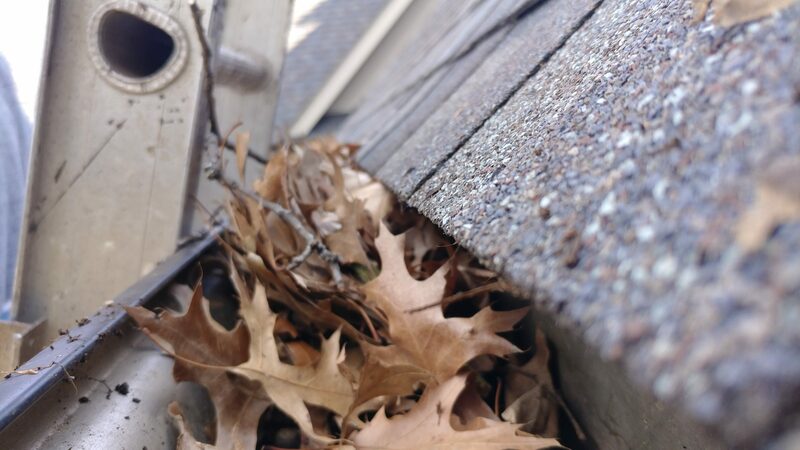 Trees can litter your home’s roof with their leaves. 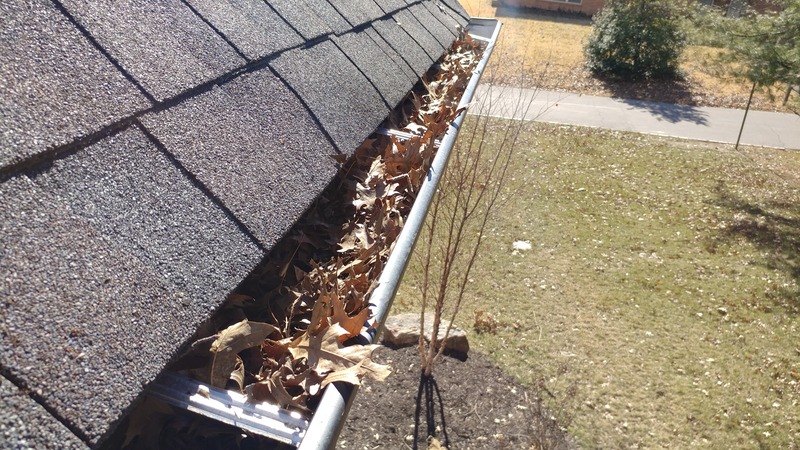 During rains, these leaves will clog any open gutters and fill it with many gallons of water in just a few minutes during a thunderstorm. The leaves essentially brew, like tea, in the standing water in your gutters. The next rain can wash that leaf-tinted, stagnant water out of the gutter, down the gutter front, and onto your home’s exterior and interior walls. The ugly, blotchy stains can be challenging to get off the gutters and your siding. The after cleaning we can do for you. But that is what we are here for. 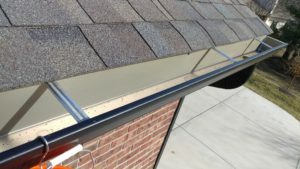 We will do the gutter cleaning for you. Schedule now and get your gutters clean!